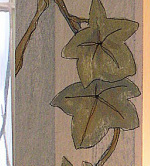 Painted furniture, farmhouse cottage furnishings by Laurie Rohner. 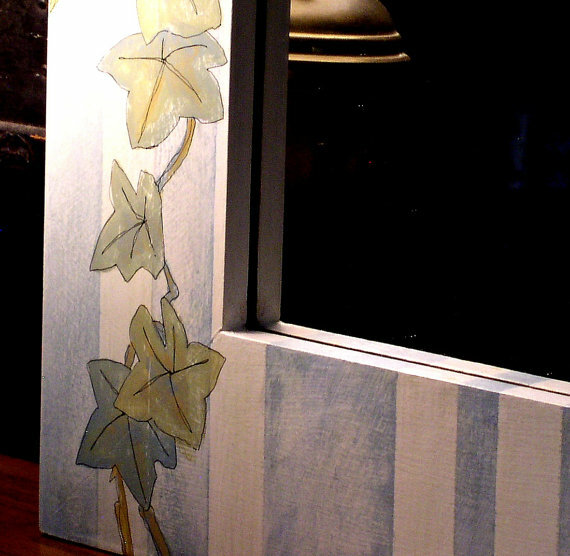 Painted Wooden Wall Mirror Farmhouse Furniture Cottage Chic Decorative Distressed. SOLD Painted wooden wall mirror farmhouse style furniture is cottage distressed shabby chic and makes a great add to painted furniture. 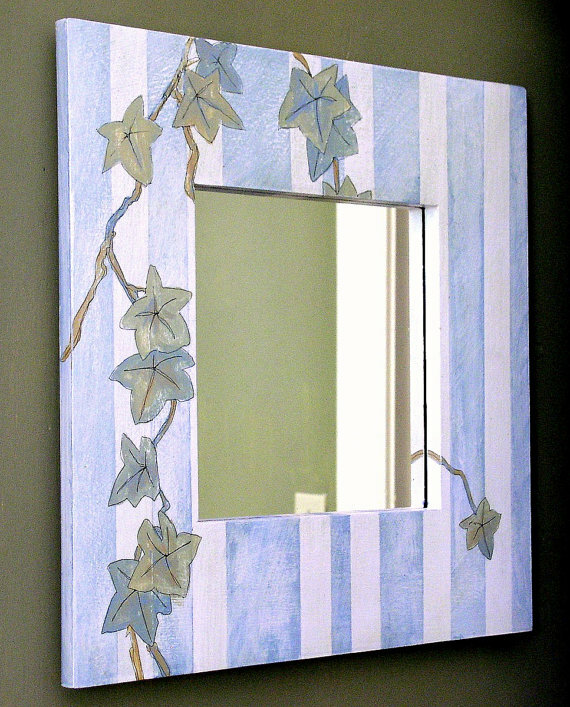 The frame is hand painted with painted stripes i n a soothing robin egg blue and cream with decorative hand painted ivy. 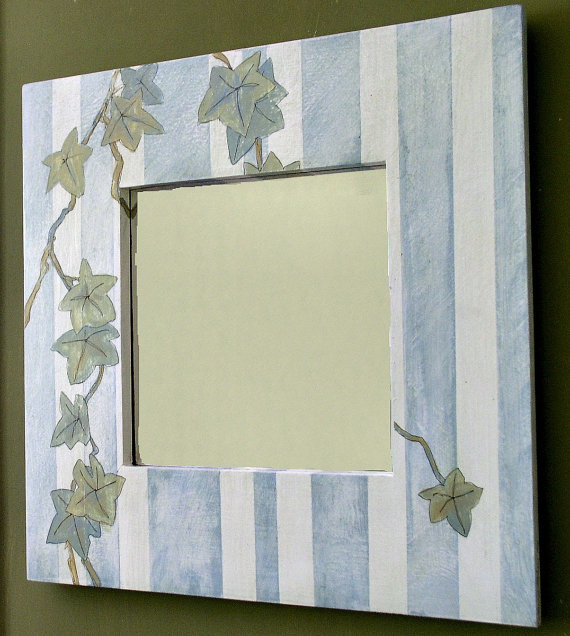 A 3 1/2" pine wood frame is painted, varnished and slightly distressed then rubbed to give it a time worn effect. The entire finish is sealed with a butcher wax. Crafted by my own hand. It is ready to hang.